In case you didn’t realize it already, I am one of those people that keeps tweaking away at a room or space until it feels just right. 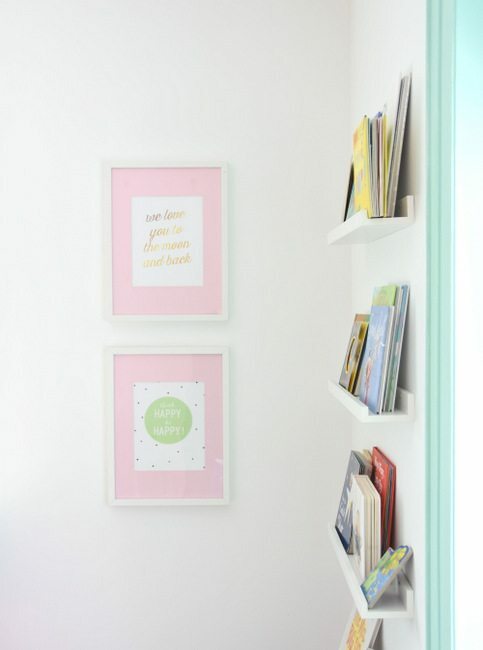 Even though our daughter’s room was one of the first to be decorated when we moved back into our house post-reno, there were still those little changes that have been niggling away at me. One of them? 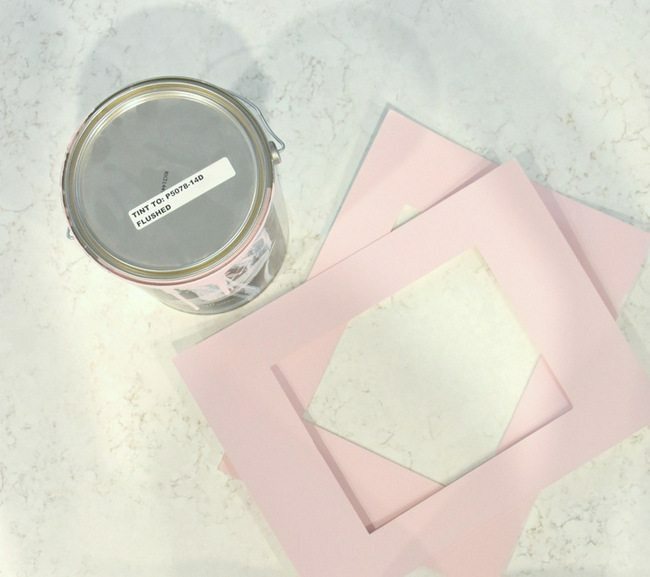 To paint IKEA Ribba picture frame mats pink! Let me back up for a sec. There was this one corner of her room that had been bugging me. 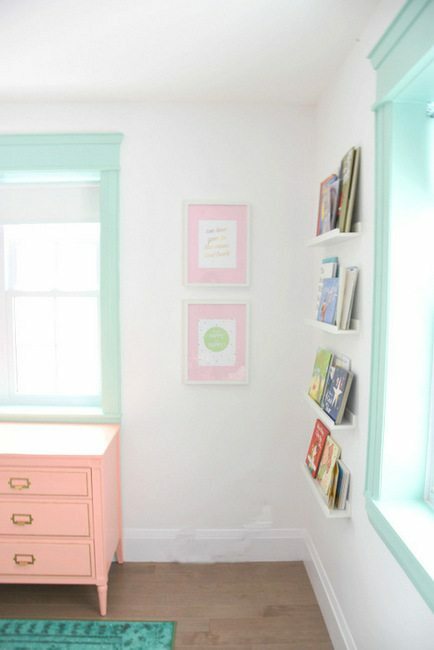 Compared to the super bright and cheery room, this area with plain white frames and bookshelves felt a little dull. It needed a little more “happy”. I decided to pull the mats out of the frame – they are the IKEA Ribba frames which I use EVERYWHERE in our house – and give them a makeover. I took the same pink paint I had used on the opposite wall of her room (“Flushed” by Para Paints) and gave the mats a coat. It took all of 5 minutes to brush on the paint, and I let them dry overnight. I had been a bit worried that they would curl or there would be really obvious brush strokes (I used a fairly big paint brush) but it turned out totally fine! Popped the art back together and up on the wall, and check out how darling they now look! So much better, right? These mats are definitely bright and have a kids-room appeal, but you could totally use this same trick for any of the artwork in your pad. Want to make your frames a bit more moody? Paint the mats a rich black. Maybe you need to unify a collection in a gallery wall? Painting the mats all the same color would absolutely do the trick. The possibilities are endless and it’s such an easy upgrade that looks so custom. 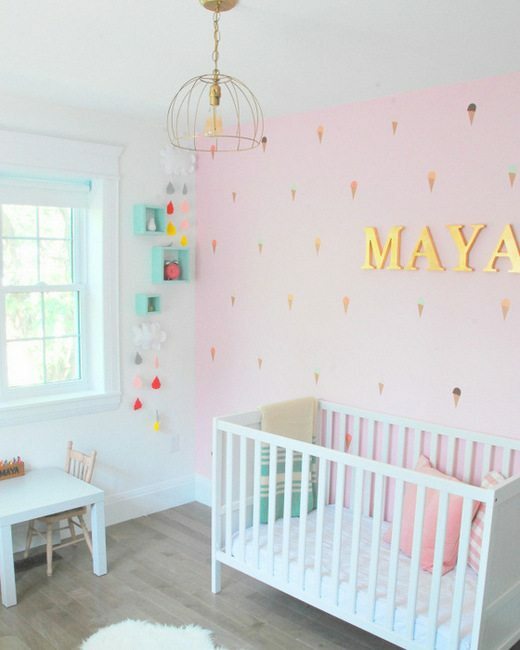 If you want to see how we decorated Maya’s room – including a ton of DIY projects, like her ice cream cone wall, embroidery hoop artwork, and more – head on over to this before and after nursery post. Do you guys have any art framing tricks to share? 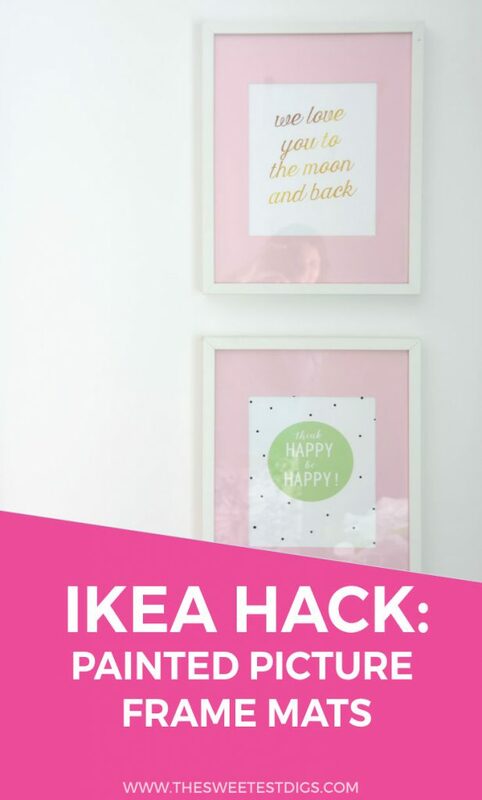 Ever hacked an IKEA frame? I want to hear about it!